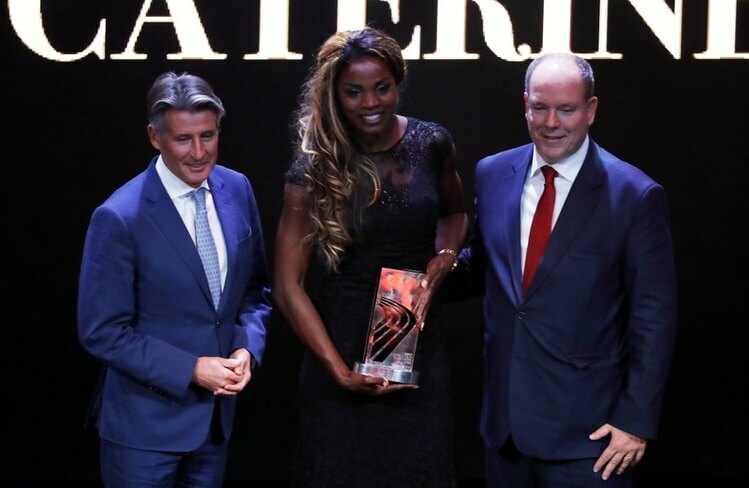 Monaco: Kenyan marathon runner Eliud Kipchoge and Colombian long jumper Caterine Ibarguen were named International Association of Athletics Federations (IAAF) Male and Female Athlete of the Year at the federation’s end of year award ceremony here. Kipchoge won the Berlin Marathon in 2:01:39 in September, improving the previous world record by 1 minute and 18 seconds, the biggest single improvement in a men’s marathon world record since 1967, reports Xinhua news agency. “I’m struggling to stand up because I’m shaking so much,” said Ibarguen on Tuesday, who also expressed her gratitude to all of her fans.